We are a renowned name involved in providing Petrol Diesel Analysis. Our Petrol Diesel Analysis is appreciated among our clients for its long functional life and dimensional accuracy. They are executed using the supreme quality resources and give the trouble free performance to the user. A gas chromatograph is used for composition analysis of gasoline and its additives in order to improve fuels' performance. In addition to excellent performance, Shimadzu's GC systems improve productivity. For example, the Nexis GC-2030 system combines three standards into one to save analytical instrument and labor costs. Aviation fuel is a specialized type of petroleum-based fuel used to power aircraft. It is generally of a higher quality and often contains additives to reduce the risk of explosion due to high temperatures. Chem-Tech has the test Facility to test Aviation turbine Fuel to International Standards. - Fuel is any material that stores energy that can later be extracted to perform mechanical work in a controlled manner. Most fuels used to convert fuel into energy include various other exothermic chemical reactions and nuclear reactions, such as nuclear fission or nuclear fusion. We are providing Fuel Testing Analytical Services. The fuel is tested by our experts as per the quality standards and needs of customers. Our services are highly demanded in automotive, mining and many more application areas. Low Sulphur Heavy Stock (LSHS) is a residual fuel processed from crude oil. 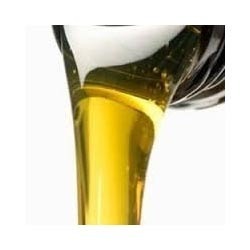 This fuel is used mainly in applications similar to furnace oils.The difference between LSHS and Furnace oil is Higher Pour Point, High calorific Value and Low Sulphur Content. Chem-Tech is one of the leading laboratories in India for Diesel Fuel Testing. Industries all over India rely on Chem-Tech for its Fuel Quality Analysis Programs. Foreign matters, Moisture, Ergots, Aflatoxin, Protein, Synthetic colors, Total Residual Hexane, Oxalic acid. Total Plate Count, Yeast & Molds. - Fuel analysis for Gross calorific value, Moisture, Ash. - Boiler losses analysis & balance of heat. - Study of effects of fuel on Boiler. Chem-TechTM is a pioneer in providing Fuel analysis services. Chem-TechTM Laboratories offers end to end Fuel analysis solutions which includes the entire range of Solid Fuels, Refined Fuels, Residual Fuels, Mineral Fuels and Biofuels. Energy is fundamental to our everyday lives. Our prime focus is to meet the nation’s energy demand in a responsible way, driven by the values of innovation, care and reliability. The Monitor Fuel Analysis program provides extensive laboratory testing to determine the quality of your fuel.